When it comes to starting a business from scratch, you need to surround yourself with the right kind of skill and talent. It is not always apparent, however, what this actually means in practice. Whether you are trying to register a company name or create a strategic plan for operations, having the right people on your team is imperative to the success (or failure) of your endeavors. Not only it is important to have the “right” group of people on your team, you want them to be there from the start and for the long-haul. Excessive turnover can also be an impediment to success, especially when first starting out. So what kind of traits or attributes are “must-haves” for your team when starting out in business? First and foremost, you must have capital. Without capital – basically, money – you are not going to be able to get your business off the ground or keep it afloat. Negative revenue is one of the most common reasons that new businesses fail in the first few years of operation. This means that you must court and secure solid financial backing, whether it is from a financial institution that you can work with long-term, or a group of investors that you can trust to provide the steady capital you need to get the business off the ground. While, of course, money is vital to the success or failure of your business, it takes far more than cash to create a solid business, you need an entire team to make this a reality. Another must-have for your team members is a shared idea or value for the enterprise. Basically, you need people who understand, support, and want to see through your vision, who share your goals and expectations for how to see an idea to fruition. You need to be able to surround yourself with people that you trust, that also fit into the company “spirit” in order to create a well-functioning enterprise from the get-go. However, it is also as important to have strong leaders on your team, in addition to financial backers and those who share your values and goals. In order for any endeavor to be a success, you need smart, skilled, and knowledgeable individuals to execute business processes and manage supply chains, employees, and so on. This means that you need people on your team with the skills and experience to take the proverbial reins and lead people when this is required. Your leaders will set the tone, pace, and example for those that they lead – showing why choosing solid leadership for your team is such an important aspect of any business, whether just starting out or well-established. You also need people who can sell your product or idea. Whether you are selling this product or idea directly to the public or to another business or organization, you need people with strong selling abilities that have an intimate understanding of your product or service, that can get said product or service in front of the people and organizations that need them most. In addition to these key roles, you also need a number of “Jacks or Jills of all trades.” These are people who can contribute to any or all aspects of your company’s functions and operations. 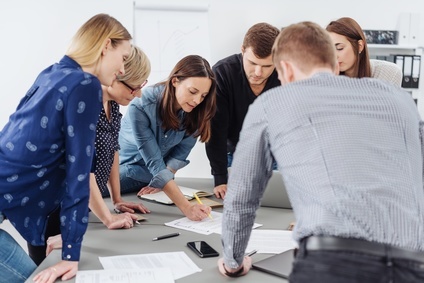 Having people on your team that can pitch in where necessary and contribute valuable skills to a variety of projects and tasks is a huge asset to any team, especially one for a business just starting out. Ensuring that you have all these key roles filled with the best possible talent you can find is a great way to set yourself and your business a solid foundation for success.